Internationally renowned high standard single, Visit Arctic Europe travel destination. Strengthen cross border cooperation between travel businesses in the VAE area. International expertise will be further strengthened. Visit Arctic Europe area will be easily accessible in the future. Internal accessibility is developed, travelling in the area easy for travelers. The project has been instrumental in helping to reach these objectives. 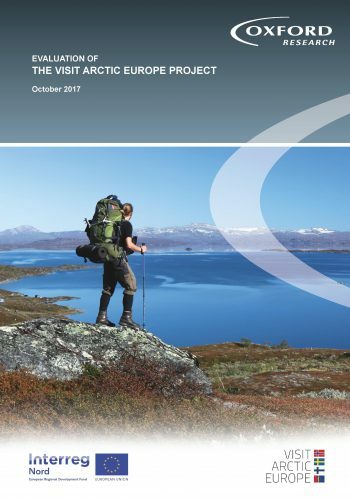 The number of visitors to arctic region has grown and there is more cross-border cooperation between travel businesses across the VAE area. Developing internal accessibility is still lagging behind, but largely VAE-project can be considered as being successful.